Visitors to a new exhibition at The Dali Museum in St. Petersburg won’t just be looking at art. Thanks to virtual reality, they’ll be exploring a Dali painting in a dreamy, three-dimensional world that turns art appreciation into an unforgettable, immersive experience. The new exhibition, Disney and Dali: Architects of the Imagination, tells the story of the relationship between Salvador Dali, the surrealist artist, and Walt Disney, the great American animator and theme-park pioneer. 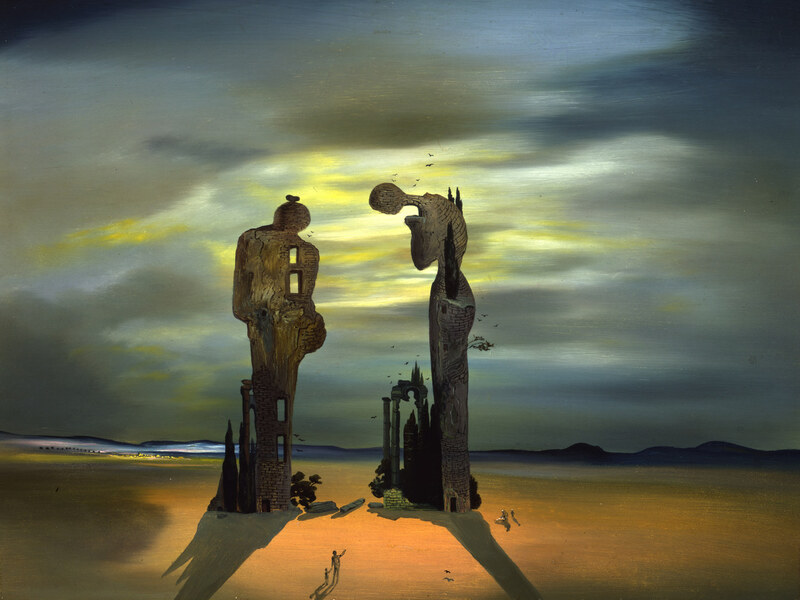 Called “Dreams of Dali,” the VR experience takes viewers inside Dali’s 1935 painting Archeological Reminiscence of Millet’s ‘Angelus.’ The painting depicts two towering stone figures along with tiny human figures in a bare landscape with a moody sky. Users can move around inside the painting, using Oculus Rift headsets to navigate a trippy three-dimensional environment that includes motifs from other Dali works like elephants, birds, ants and his Lobster Telephone sculpture. 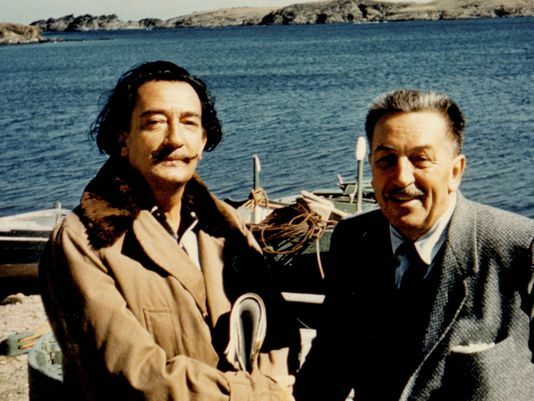 Disney and Dali met in the 1940s in Hollywood, according to museum director Hank Hine. “Their sensibilities were very connected,” Hine said. “They wanted to take art off the palette, out of the canvas and into the world.” The exhibition looks at the castle motif that became a symbol of Disney parks, along with Dali’s Dream of Venus pavilion from the 1939 World’s Fair, which some consider a precursor of contemporary installation art. 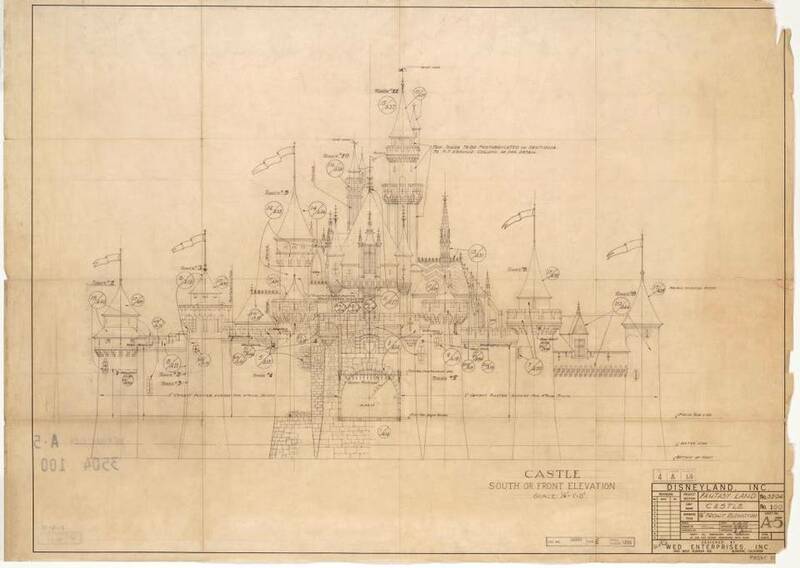 This 1955 design for Disneyland castle is explored in a new exhibition at The Dali Museum about artist Salvador Dali’s friendship with Walt Disney. Walt Disney Imagineering Dali Museum. Disney and Dali also collaborated on a short animated movie, Destino, (below) that was eventually completed by Disney Studios. The six-minute movie, which can be found on YouTube, features a dancing girl with long dark hair, a sundial motif and a song with the line, “You came along out of a dream. … You are my destino.” Clips will be played within the gallery for the Disney-Dali exhibition and the full short will be shown at the museum’s theater. The Walt Disney Family Museum recently had an exhibit about this as well in conjunction with the Dali. “Dreams of Dali” is part of the museum’s new exhibit, Disney and Dali: Architects of the Imagination, running Jan. 23 through June 12. For more on the virtual reality experience, visit DreamsOfDali.org. Virtual tour of the Dali Museum.